← Stockport 5 leads the way! 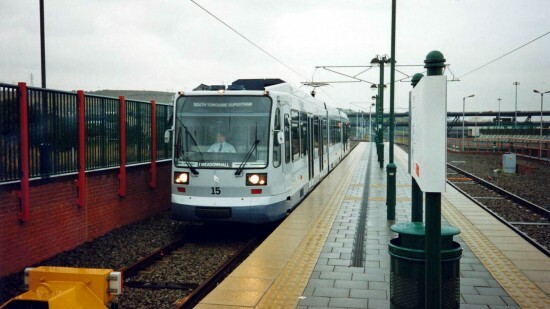 As we continue our archival photographic series we are once again in South Yorkshire for a image taken towards the start of operations on Supertram. In this image we see Siemens-Duewag constructed vehicle 15 standing at the two track Meadowhall terminus on 10th August 1994. At this point in time only the section between here at Fitzalan Square was open to the public with construction and commissioning still continuing on other parts of the network (the next stage would open 12 days later from Fitzalan Square to Spring Lane), The main destination blind doesn’t seem to be working as it just displays South Yorkshire Supertram with the Meadowhall destination found at the bottom of the cab window. This entry was posted in Picture in Time, Stagecoach Supertram. Bookmark the permalink.